If you follow me on Twitter or Instagram you will know that I am travelling at the moment. I found out early in February that I was needed to judge a competition in Holland in March. As it takes such a long time to travel from Australia to Europe, it is always nice to add a few days on either side. This time I decided to spend a few days in London before heading to the competition in The Hague. After putting a call out on Twitter to see who would be around, the lovely Jo from sewlittletime started to email the Spoolettes and before I knew it dinner & drinks were arranged for the Tuesday night! Also Roisin and I were chattering in twitter and I had shoe shopping booked in too. Then I saw Amy was in London too and fabric shopping was arranged for the Monday! 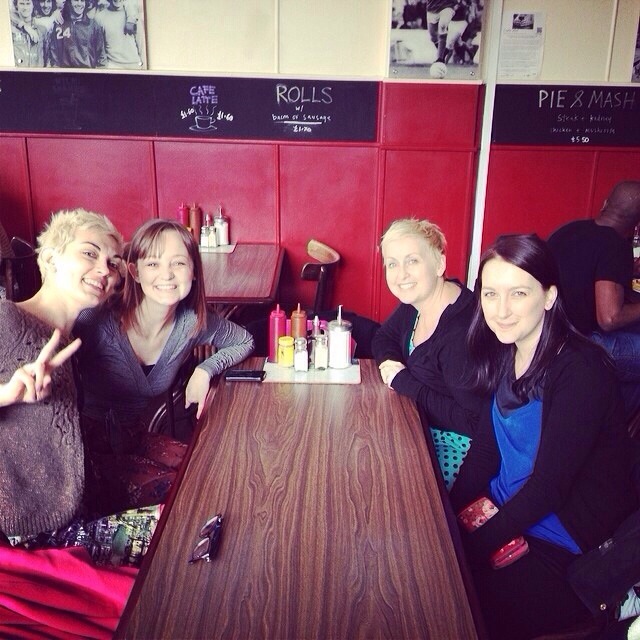 Starting with Monday, we met at Goldhawk Road at 11am, all up there were six of us Rachel (fresh from Project Sewn), Amy, New Mood Blogger Fiona, Inna, Alana and I. We shopped for treasure, stopped for a spot of lunch and of course a little more shopping. 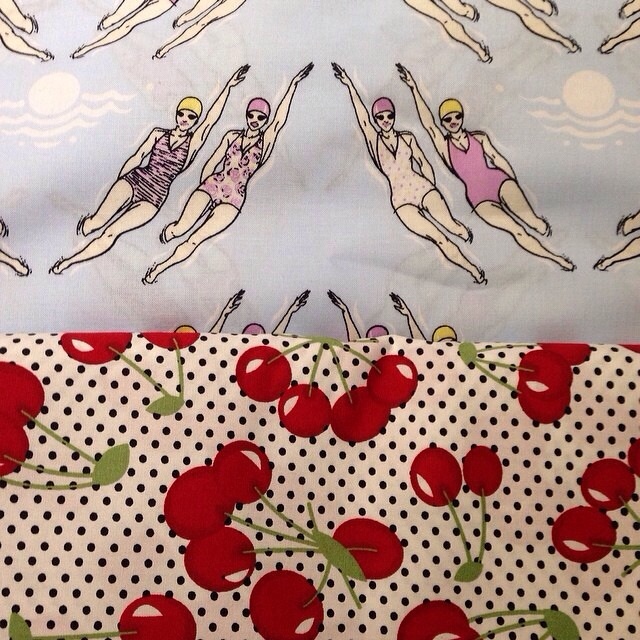 In preparation for the sewdollyclackett challenge, I bought the swimming ladies. Obligatory I thought! I also bought a lovely cherry print. That night I met Roisin for a spot of shoe shopping. Unfortunately neither of us saw any shoes we had to have but it was lovely to meet the famous Dolly Clackett, she is just as brilliant in person as you might expect. We then headed to dinner with the fabulous Spoolettes Jo, Nicole, Clare, Tania, Elena and Sally. Again, it was like meeting old friends and the night was over before I knew it. 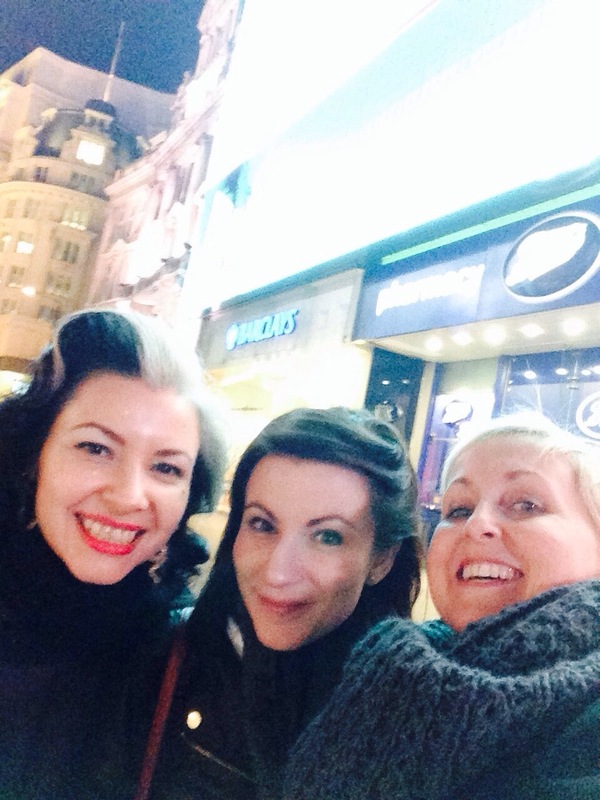 We all chattered so much I forgot to take any pictures until I was on the way to the tube! What an awesome bunch of people, I love that I can travel to the other side of the world and have people I can meet, that make me feel welcome and like I have known them forever. Yay, what a fun trip! I’m so glad!!!!! Looks like you had a great time! There’s a nice fabric store in Rotterdam (30 mins by metro from The Hague) as well, it’s called Schroder, it’s located close to my work so I often pop in during my lunch break 🙂 There’s also a fabric store in The Hague with the same name but it’s quite a bit smaller. Enjoy the rest of your trip (the weather is quite nice in Holland for the time of the year)! What fun meet ups.. Love your fabric purchases.. can’t wait to see the one that kept you up.ha.. SO proud you went back and got it.. Enjoy the rest of your travels.. Enjoy your trip. Meet ups just make travel so much more enjoyable. Sounds like such fun Liz. Looking forward to seeing all of that fabric! !